Discover the beautiful hair you had all along and wake up with beautiful hair everyday with the Keratin Research Gold Label Keratin Hair Treatment. Save yourself the countless hours and damage of blow dryers and hair straighteners with Keratin Research's Gold Label Keratin Hair Treatment. The Gold Label Keratin Hair Treatment is designed to straighten hair, remove frizz, and add shine, silkiness and softness to your hair. The results are instant! Nothing else to do! 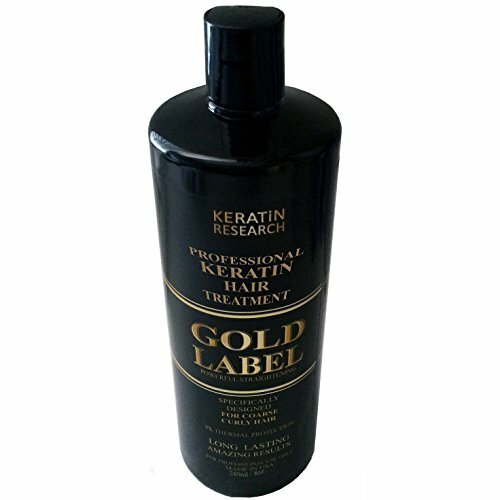 The Gold Label Keratin Treatment by Keratin Research will last for over 3 months and in some cases as long as 9 months. In your current busy lifestyle, you will find the Gold Label Keratin Hair Treatment to be a life changing experience! With the help of Keratin Research's Gold Label Keratin your hair will be easier to manage and maintain, smooth, fast-drying and easy to style. 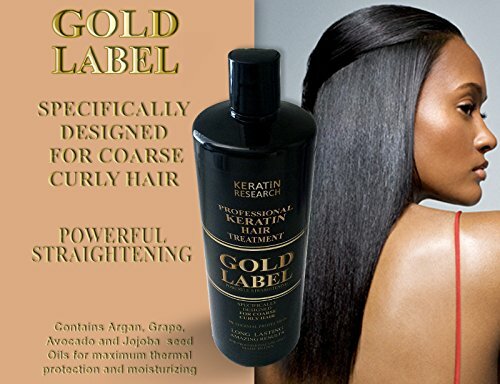 The Gold Label Keratin Treatment is suitable for virgin, colored, and previously chemically-treated hair. 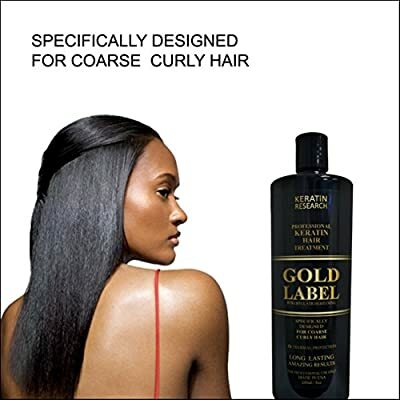 Professional Use- Unlike most hair types: Black, Dominican, and Brazilian Hair types require intense keratin treatment like Gold Label that will be able to withstand the repetitive flat iron heat passes and penetrate the thick coarse hair. In order to prevent the hair from damaging and drying the Gold Label Keratin Treatment contains a unique blend of oils to protect the hair and retain its moisture with a naturally vibrant shine. 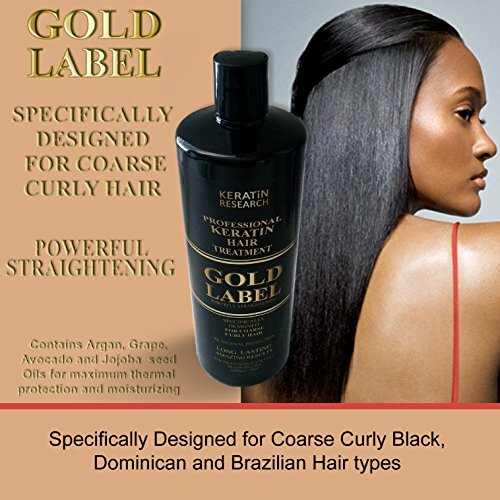 Gold Label Keratin Treatment- Great Enhanced formula for black, African, and Dominican hair. Contains: Argan, Grape, Avocado, and Jojoba seed Oils for maximum thermal protection and moisturizing effect. The Gold Label Keratin Treatment works well on all hair types, however it was designed for hair types that are coarse and curly. Amazing results, one of the best in the world. Eliminates frizz and curl. Promotes healing of hair. Blocks the effects of humidity. Great for all hair types. For professional use, read all instructions & warnings prior to buying and using the product. The application process may take 90-150 minutes depending on hair length and skill. During the application the treatment when heated releases fumes that may irritate your eyes & breathing. Please perform a sample test prior to fully applying the product on the hair. Wear gloves and work in a well-ventilated area.